Margarido Home, LEED Platinum Certified. Many of us are familiar with the LEED rating system from the United States Green Building Council (USGBC), which is a third party green building rating system for commercial and residential buildings. The LEED rating system has been adopted by the U.S. government and is used with all new construction and major renovation of federal buildings. LEED certifies buildings on a point based system in the areas of Sustainable Sites, Water Efficiency, Energy & Atmosphere, Materials & Resources, Indoor Environmental Quality, Locations & Linkages, Awareness & Education, Innovation in Design, and Regional Priority. Points are then added up to achieve Silver, Gold, or preferably Platinum certification. While mainly regarded as a tool for commercial building, there is also a LEED for Homes section that allows you to certify your home or neighborhood. Recently, USGBC has launched a Green Home Guide. The site is an awesome resource for those of you looking to remodel or build a home in the near future. The site contains a myriad of resources for the casual and the serious green homemaker alike. The “Know How” section guides you through green building advice and educational articles to help you make better-informed decisions. They cover a diverse range of topics, and the content is growing everyday. With the rapid growth in the green building world, it’s a great resource if you need to get an idea of what’s out there. My favorite part of the site is the “Ask a Pro” section, which allows you to connect to green building experts from around the country and get answers to questions. Perhaps you’ve been shopping around for a countertop, and you’re wondering which is more environmentally friendly. Or maybe you want to know what solar power options exist for those of us living in apartments or condos. The site has many LEED accredited professionals ready to answer your green building questions. If you’re ready to have someone come in and do the work for you, there’s the “Find a Pro” section. This directory of green building LEED accredited professionals is your key to getting green-minded professionals working on your new home or remodel. They have everything from green cleaning services and interior designers to architects and electricians. Although the site is still Beta, I feel like it has the potential to grow into a valuable resource for the eco-conscious homeowner. As green building has become more mainstream, it has made quality green building easier to access for the average person. The site is still growing, but I was satisfied with the information that I did find. Also, the ability to ask the pros questions has made it easier for me to feel secure with my decisions and has cut down some of the research time for my home projects. Remember, USGBC is just one of many sites out there to help you remodel your house in a green way. Use as many resources as possible to ensure that you come to a well-researched, unbiased conclusion. Hopefully USGBC’s Green Home Guide will provide you with a great start. Although many of us are familiar with the LEED rating system from the United States Green Building Council (USGBC), we still have several questions about the products that are qualified for this rating. Reputable site such as http://www.TintBuyer.com discuss how window tints can be labeled as one of the most effective way to conserve energy consumption for less compared to other green related technology. TitntBuyer.com can also help you get LEED points for window film and find a dealer near your area. Great Article! I just want to clarify that the “Find a Pro” section is for all green professionals, not just LEED AP’s. As long as the pro demonstrates either green building experience and/or some credential/education. The information is then shared with the user so they can determine how green a pro is. The Green pro is also rewarded for answering questions by ranking higher in the search results for every time they contribute. Please the listing is free for the pro to sign up. 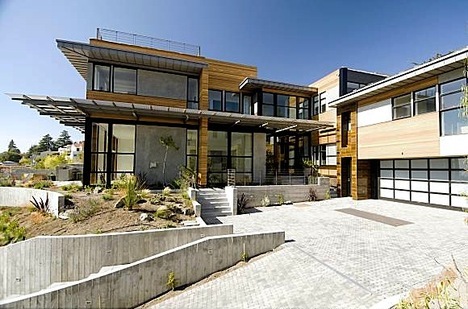 The idea in choosing materials for a green building is that, it must be an energy efficient product. Green products such as window tints would be a great idea in pursuing green buildings or even green homes and green cars. While most window films are for reducing solar heat gain in the summer, low-e films both block summer heat and improve winter heat retention. Green oriented sites such as http://www.TintBuyer.com discuss how window tints can be labeled as one of the most effective way to conserve energy consumption for less compared to other green related technology. TitntBuyer.com can also help you get LEED points for window film and find a dealer near your area.